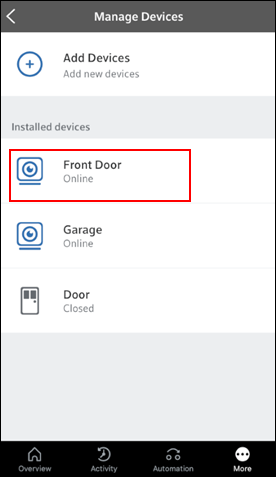 Enabling Continuous Video Recording (CVR) on your mobile device allows you to activate and view CVR activity on any of your compatible Homelife cameras. Follow the steps below to enable your CVR on your mobile device. 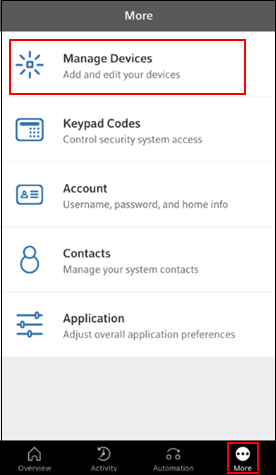 From the Overview screen, tap the More menu and select Manage Devices. From the Manage Devices screen, tap the camera you want to enable. From the Edit Device screen, slide the CVR toggle to the right and tap Done. Note: After you have completed this step, the camera reboots. Once the reboot completes, the CVR service is activated. 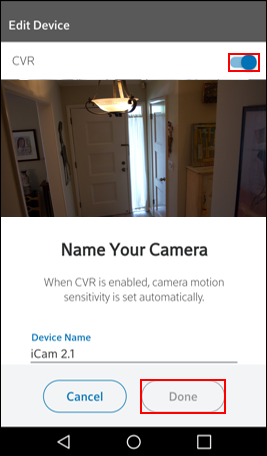 If you have multiple cameras and you want to switch your CVR service to a different camera, disable one camera by sliding the CVR toggle to the left. Enable a new camera by completing all of the above steps. If you disable CVR on one camera, any CVR recordings you have captured with that camera will be temporarily unavailable until you re-enable CVR on that camera.